Sharpedo in game: 781 Who? Important notice! Pokemon Sharpedo is a fictional character of humans. As Mega Sharpedo, the fangs in its mouth have transformed, and the horns that have sprouted from its nose can be regrown countless times. The yellow patterns on its body are scars carved into it in battle. With explosive propulsion, it can exceed 125mph in an instant. 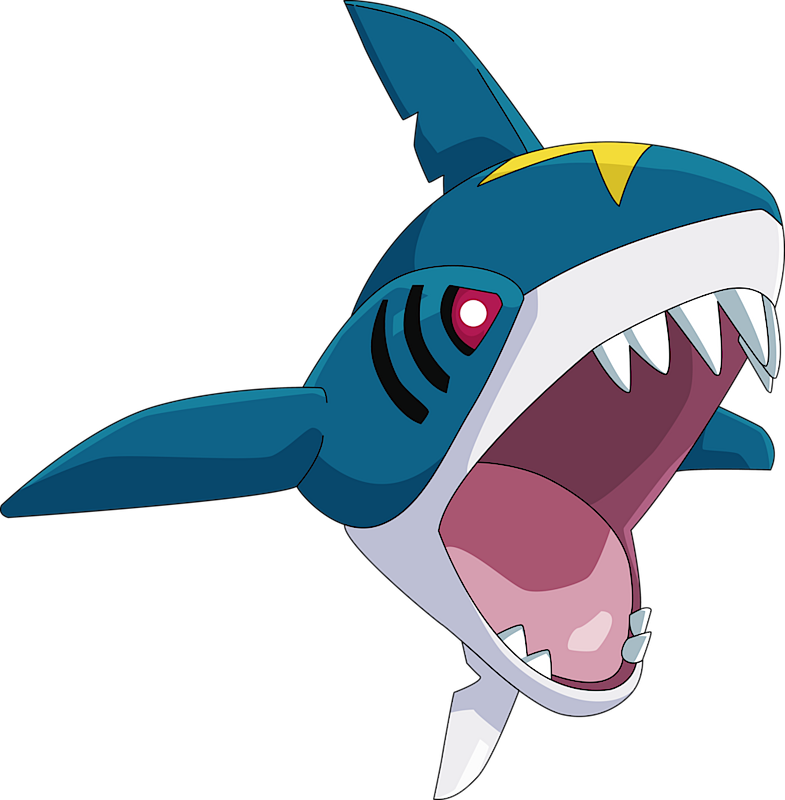 Sharpedo can shoot out a jet of water, which allows it to swim 75 to 80 miles per hour. However, it is unable to swim long distances. 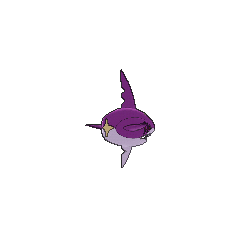 It is feared and known as Bully of the Sea, or Gangs of the Sea as a group, due to its sharp teeth. Its fangs can rip through iron and steel, being able to tear apart a supertanker into pieces. When its fangs fall out, they grow back immediately. It lives in the sea. 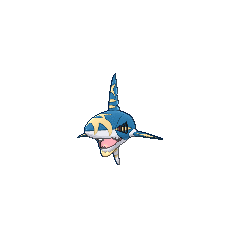 Sharpedo's first major appearance was in Sharpedo Attack!. A pod of Sharpedo attacked Ash and his friends, plus Mr. Briney, while they were at an uncharted, crescent-shaped island. They gained the pod's trust when Brock healed their leader's injury when it came across Team Rocket. Multiple Sharpedo appeared in PK13, where they were attacking Pikachu and the others to across the deserted island, where Aggron ties Azumarill. A group of Sharpedo were used by J's henchmen to attack Ash and his friends, along with Kellyn, in Pokémon Ranger and the Kidnapped Riolu! Part One. A horde of Sharpedo was accidentally attracted by Clemont's invention which was meant to lure the golden Magikarp in Going for the Gold!. A Sharpedo that can Mega Evolve appeared in Volcanion and the Mechanical Marvel, under the control of Levi and Cherie's Mega Wave. A Poké Ride Sharpedo appeared in Alola to New Adventure!. Sharpedo debuted in Johto Photo Finish. Several Sharpedo were swimming in the ocean in Hoenn Alone!. 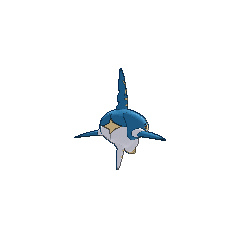 A Sharpedo also appeared in Destiny Deoxys and Pokémon Ranger and the Temple of the Sea. A Sharpedo made a brief cameo as a thief in Pokémon Mystery Dungeon: Explorers of Time & Darkness and Pokémon Mystery Dungeon: Explorers of Sky - Beyond Time & Darkness. A Coordinator's Sharpedo appeared in Staging a Heroes' Welcome! participating in the Performance Stage of the Wallace Cup. 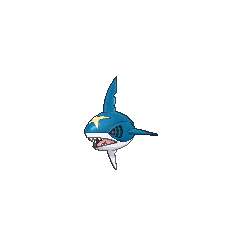 A Sharpedo appeared in A Rivalry to Gible On!, who scared off Team Rocket. A Sharpedo appeared in the beginning of Zoroark: Master of Illusions. Three Sharpedo appeared in a picture in The Bonds of Evolution!. A Sharpedo that can Mega Evolve into Mega Sharpedo appeared in Mega Evolution Special II. A Sharpedo appeared in SM006. A Sharpedo appeared in SM013. Sharpedo is Aqua Admin Matt's main battling Pokémon in Pokémon Adventures. Its Rough Skin wears down its opponents while it fights with Crunches. A Sharpedo is seen as one of the aquarium Pokémon seen in Archie's collection. 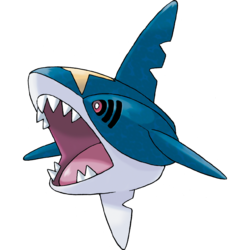 In the Omega Ruby & Alpha Sapphire chapters, Archie is shown to have a second Sharpedo, which can Mega Evolve into Mega Sharpedo. After Archie disappeared he was taken by Amber. On April Fool's Day, 2002, Mizuado, a Steel/Water hammerhead shark Pokémon was "revealed", but it turned out to be a fake. 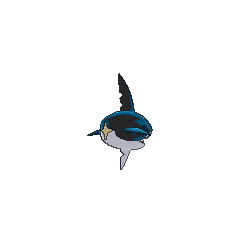 This Pokémon was also sometimes called Samehadaa, which is similar to Sharpedo's Japanese name. Mega Sharpedo has the lowest base Special Defense of all Mega Evolved Pokemon.